"An endearing story about a penguin called Little Hoiho who wants to be more like the other birds she sees around her, Kotuku, Toroa, and Tui. But Little Hoiho learns that her body is made for swimming and spinning and twisting in the water, and that she is perfect just the way s... read full description below. 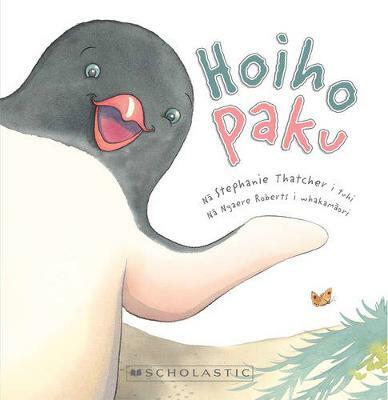 "An endearing story about a penguin called Little Hoiho who wants to be more like the other birds she sees around her, Kotuku, Toroa, and Tui. But Little Hoiho learns that her body is made for swimming and spinning and twisting in the water, and that she is perfect just the way she is"--Publisher's information. Stephanie Thatcher is an author and illustrator residing in Huia, West Auckland. After working as a librarian for seven years she completed a Bachelor of Visual Arts at Auckland University of Technology, and commenced working in graphic design, in Auckland and Dublin. As well as being a mum to her three boys, she has maintained a freelance career in graphic design, motion graphics and illustration work. Her first picture book, The Great Galloping Galoot, was published by Scholastic NZ in 2012.